Today I thought it was a good idea to share some of my budget makeup with you. I love buying things on a budget when it comes to makeup. 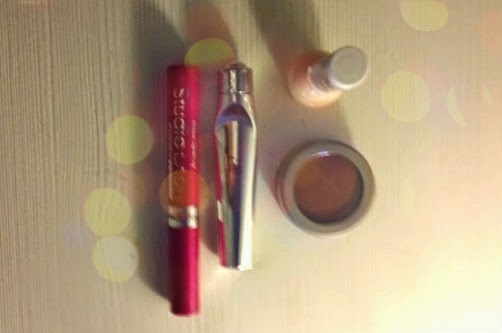 I will share with you a mascara, eye refresher, nail polish and blush. Enjoy! The first item is the e.l.f. eye refresher which I love very much. It's from Elf, a brand that's eco friendly and on a budget. They have a lot of good products and this is one of them. When I have to wake up early in the morning and I still look a little bit sleepy I put the roller under my eyes and it's sort of the same when you put cold water on your face. The roller is very cold and that's why it's so refreshing. I think it was around one euro. Mine is almost finished, so time to buy a new one! I would give this eye refresher an eight. My next beauty product is from the brand Miss Sporty. 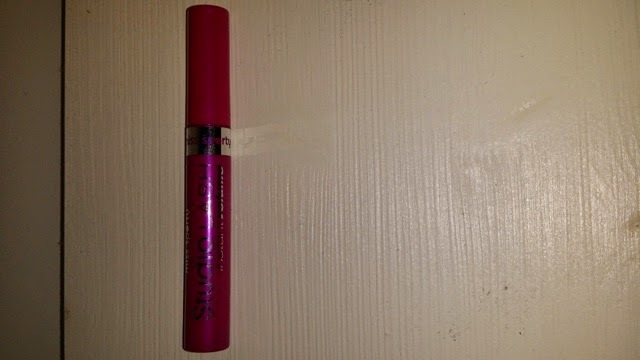 I know a lot of people have this mascara, I thought if everybody had it it had to be a good mascara and I gave it a try. But unfortunately I didn't like it at all.The brush is very hard and when you put it on your eyelashes it feels not good. It leaves black peaces everywhere and the mascara is also very hard to remove. I bought it for two euro. I do not recommend this one, I would give it a four. 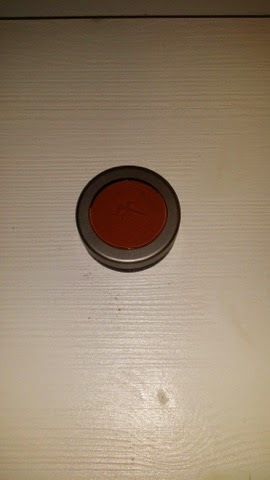 I got this blush as a gift from a friend in combination with a few other pencils and eyeshadows of the same collection. 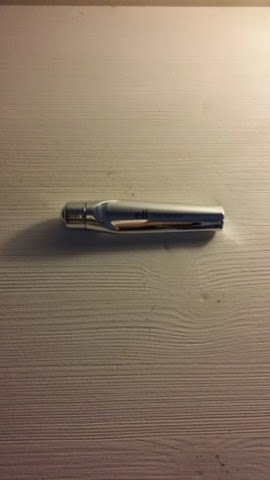 It's not really from a brand, I couldn't find it anywhere. But the blush itself was actually good which I didn't expect from it. It's very tiny and when you put it on the color looks nice and not too much. It stays for about a morning and I always put on a little bit more when you don't see it anymore. Especially when it's winter and you see a little bit white. I would give this blush an eight. 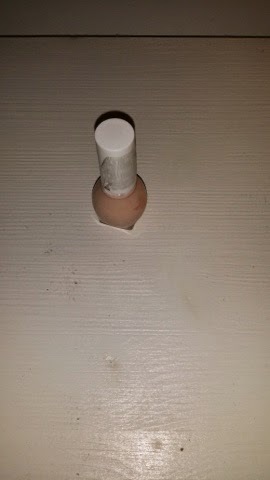 My final beauty budget product that I want to share with you is a nail polish form Miss Sporty. This nail polish is defenitely better than the Miss Sporty mascara. The color looks very cute and classic and you can wear almost everything in combination with it. It's like a French manicure, it stays for good for a few days. It's also a good nail polish base for nail art, I did that a few days ago and it looked very cute too! I bought it for one euro and I would defenitely recommend this nail polish. I give it a seven. Leuke post! Ik ben zelf niet zo'n fan van Miss Sporty, vind helaas vaak dat hun producten tegenvallen.